Somewhere for all your favourite recipes! 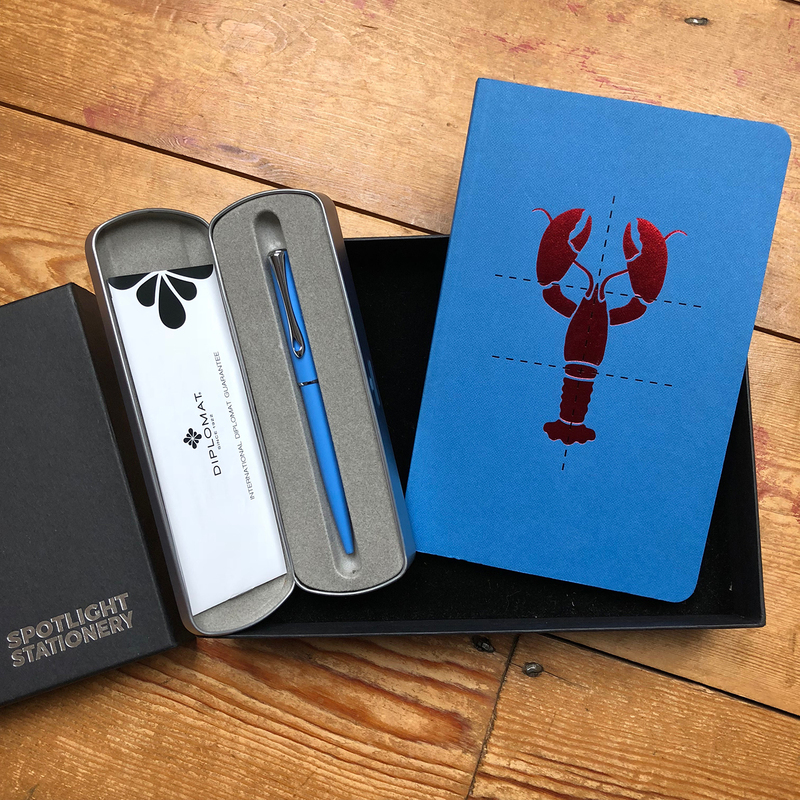 The journal: a Poach My Lobster journal with 128 plain pages and a beautifully textured blue soft cover with striking red foil embossed lobster motif. The pen: Diplomat Traveller blue lapis ballpoint pen in a silver presentation tin. The set is packaged in a Spotlight Stationery rigid lidded box.